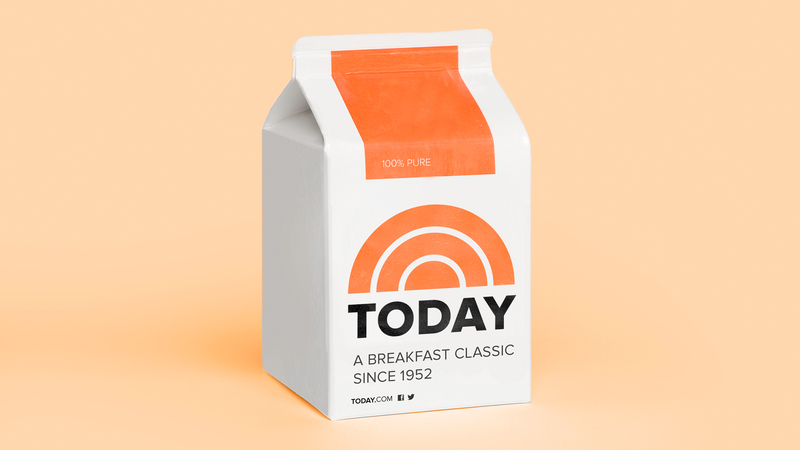 TODAY SHOW - Ferroconcrete, Inc.
Today is an iconic American brand since 1952 and the most watched morning show for decades, until very recently. Their brand language and look was dated and no longer reflected the vision or personality of the show. The old logo looked more like a rainbow than a sunrise, and did not work well across the expanding digital landscape. Their multiple segments had no clear differentiation, and lacked a clear tone of voice. We distilled the iconic mark to its essence and simplified its shapes and color to create an instantly recognizable, modern logo, while expanding the context in which the mark is used. The new logo is friendly and engaging, playfully transforms itself, unifying the show’s many diverse categories and segments while providing a cohesive system across all media platforms. We crafted a personality that is optimistic, emotional, personal and human, connecting viewers on a deeper level to show and its hosts.